This tiny tree snail faces its biggest threat from a cannibalistic relative known as the Rosy Wolfsnail. 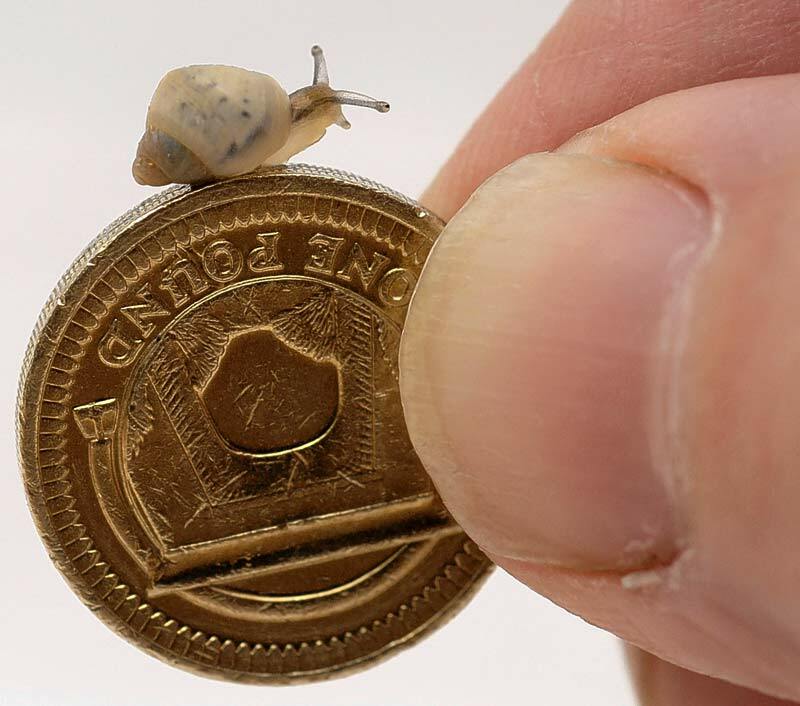 Scientists believe fewer than 100 of the teeny tiny snails still remain, and they're all at the British Zoo, according to the BBC, where conservationists are working on a breeding program that might bring them back from the brink of extinction. As for how the Rosy Wolfsnail ended up there in the first place, The Telegraph reports that locals bred bigger African land snails to sell as food; Turned out they were unpopular as a menu item, and the snails were released into the wild where they survived by eating crops. The Rosy Wolfsnail was meant to control the African land snails, but they ate the minuscule tree snails instead.